Click on Name to open and close window for info. Shades Of Grey Sanctuary is a quiet place for senior dogs to go to retire and live out their life with love and dignity. Our mission is to save as many senior dogs as our resources will allow and give them a happy life with dignity, including hospice care, until their days on earth come to an end. As a volunteer-staffed organization, our Mission is to rescue senior dogs abandoned in shelters or no longer able to be cared for by their elder/disabled caregivers. We are an independent, 501c3 organization made up of a group of volunteers who are dedicated to the rescue and re-homing of homeless Labrador Retrievers. 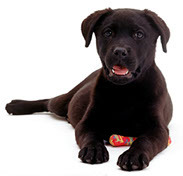 Welcome to the Brookline Labrador Retriever Rescue website. Brookline was started in 1997 with a single volunteer saving a single Lab. Since then the rescue has grown in numbers and geographically. 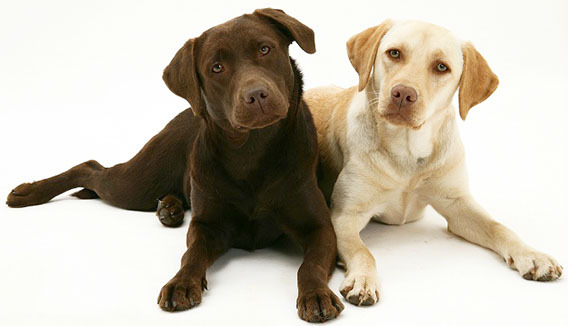 We now have about 100 volunteers and we place an average of 100 Labs each year in their forever homes. WAGS activities in part are stated in our mission statement. We believe that more substance is needed to understand our faithfulness and dedication to these endeavors. First, our goal is to rescue, provide immediate medical care, spay or neuter, vaccinate, rehabilitate, socialize, and place in "forever" homes, orphan golden retrievers, and in some cases, a golden retriever want-to-be. We are a non-profit rescue group in New York State dedicated to rescuing Chesapeake Bay Retrievers in need and placing them in responsible loving homes. The rescued dogs come from animal shelters, owners who no longer can care for them in a responsible way, or are strays found wandering at large. The mission of this group, with the support of members of the Chessie e-mail lists, is to array the members of CBR Relief & Rescue, breed clubs, breeders and fanciers into a rescue network to assist in rescue of purebred Chesapeake Bay Retrievers. We've been creating things for my home, family and friends for as long as I can remember. My dad has been the woodworker in the family and started making picture frames for me out of an old pallet I was too lazy to take back to the store. He's been making me frames ever since! Matt and I met, fell in love, introduced our dogs (3 dogs each), and started sixdogsdecor. We love everything Florida has to offer, the beach, ocean, diving, fishing, shell collecting, and making beach themed decor. We hope you enjoy our creations as much as we've enjoyed imagining and creating them. We strive to use as much recycled, up-cycled, re-purposed materials as we can. This includes our shipping materials. Sometimes this means the box your shipment arrives in may not be pretty..... but it will be sturdy!